T Add 1 to your mana pool. 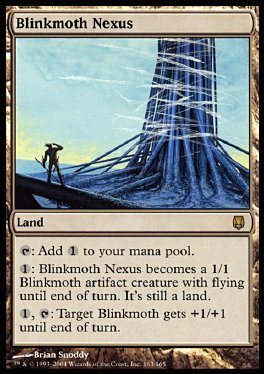 1: Blinkmoth Nexus becomes a 1/1 Blinkmoth artifact creature with flying until end of turn. It's still a land. 1, T Target Blinkmoth gets +1/+1 until end of turn.